ORLM87 : l'iPad, un cartable numérique ? Sortie dans un mois, originally uploaded by loiclemeur. 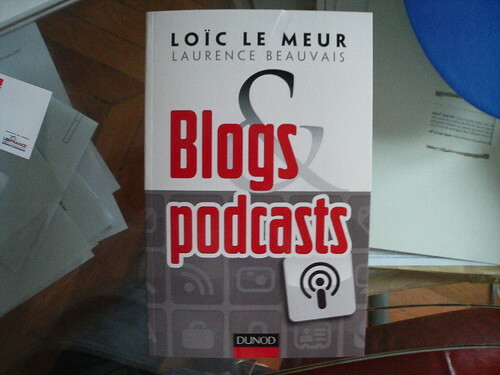 This book on blogs & podcasts is an update to the previous version, and should make it to the bookstore shelves in about a month. Almost three months now without reading blogs (no time really!). I had missed the launch of the very much awaited book on cooking by Pascale Weeks. I had been reading her blog for a very long time and we all knew she had to produce such a book. Well done. Looks like the perfect gift for Christmas. Get it on Amazon ! DSC02047, originally uploaded by rsepulveda. 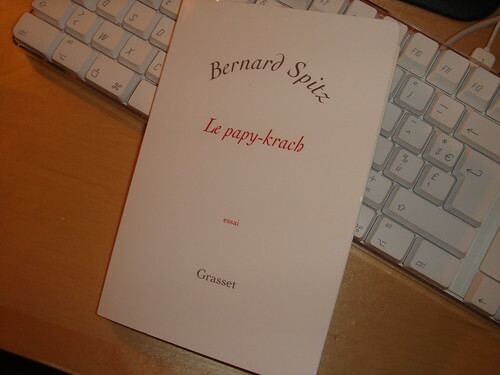 Bernard gave me the book (with a nice dedicace as well) in Monaco the other day, after we started discussing about French society. The man is a well known figure in the French Internet elite (he used to be head strategist at Canal+, Vivendi, etc.). I heard him comment his book on TV, on radio this week... I thought I might share at least the cover with you. 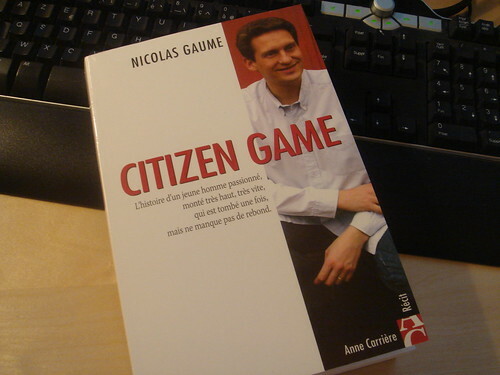 I need to read it just after Nicolas' book. DSC02034, originally uploaded by rsepulveda. Nicolas belongs to that rare breed of true entrepreneurs. At 19, he founded Kalisto that went to to a meteoric rise and fall, after going public. There was much debate about his company, and in this book, Nicolas in his own words and charisma tells his side of the story. Just got it in, with a lovely dedicace. I will be reading it shortly (Nicolas had given me printouts last year as he was writing it) and update this post with my thoughts. For a nice video of the man himself, check this impromptu lunch at 3GSM this year! You might not know it, but Jean-Michel Billaut, the so-called father of the French Internet, turned 61 today ! He's the guy exploding our stats at vpod.tv and the #1 user of our storage... I'm told he shot 41 GB of footage this week at Capital-IT. John-Paul is a very well known French journalist, covering both international & domestic affairs, with a political twist onto everything. I first introduced him here. His book was released only 2 weeks ago, and with virtually no TV apperance, his book has had 4 reprints (over 44,000 copies), and is already in the top 20 of book charts here in France… His blog is at johnpaullepers.blogs.com and makes use of video as well ! Front cover, originally uploaded by rsepulveda. 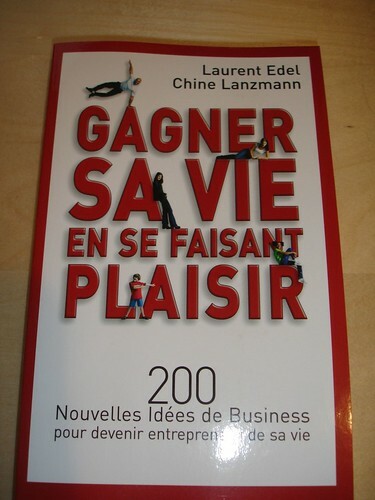 Unfortunately I missed the cocktail party last thursday for the official launch of the 2nd opus of Chine Lanzmann & Laurent Edel, 2 former entrepreneurs scouting the world for new business ideas. Laurent was super kind however to accept my apologies for not showing up (I was on my way back from Geneva), and sent me the book by mail. I'll let you know what I think about it when I get a chance to read it ! All their stuff is online at www.goodfutur.com.